Front app consolidates all communication channels with your customers – email, social media, and chat – into one place where teams can easily track and respond to all incoming messages. 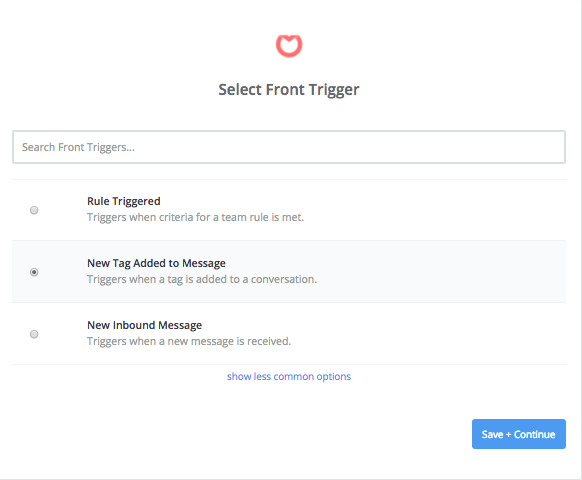 And since communicating directly with customers often uncovers user pain points, feature requests, and new ideas, you'll want to keep track of all those inputs by connecting Front to productboard! 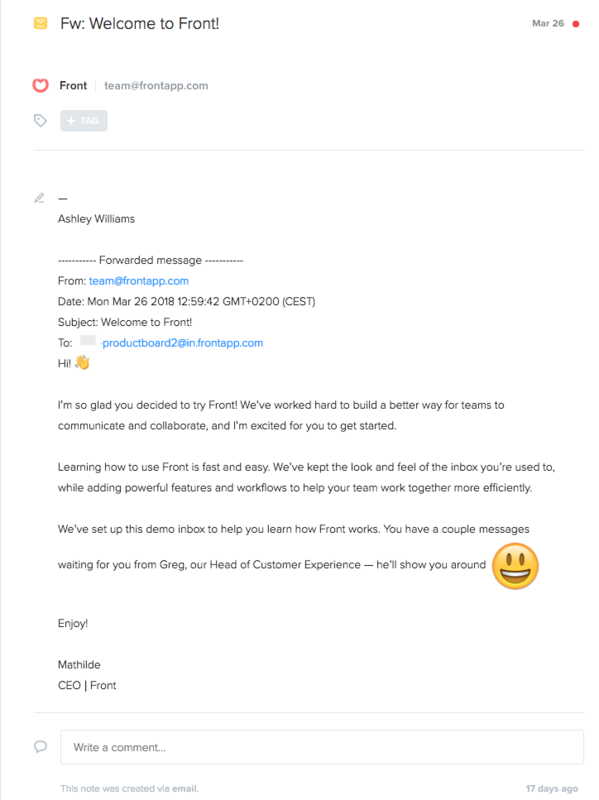 As Front is primarily a tool for emailing, you can forward conversations to productboard. In Front, create a new productboard contact. Retrieve your productboard project's unique email address, found under Integration settings. Any emails forwarded from Front will arrive on your Insights board as a new note. Zapier is an amazing tool for connecting apps together via API – no coding involved. You can assign triggers for actions made in Front to push information to productboard. Note: Frontapp requires a paid plan to use the Zapier integration. That's it! Bring those conversations directly into productboard. Don't forget to use tags like "front" or "request" so that you can quickly retrieve your new notes in productboard.